Ben and Ollie McGee with the Northumberland Under-17 Player of the Year award. It was two in a row for two young cricketing brothers from Tynemouth when they made history by each winning the same top sporting honour in two consecutive years.And it rounds up the best season in nearly two decades for Newcastle Cricket Club, where the pair recently started playing. Ben McGee, 17, has won the Northumberland Under-17 Player of the Year award one year after his brother Oli McGee, now 18, lifted the same trophy. The pair credited their captain Jacques du Toit with their excellent performances. “He’s encouraged us to play a positive attacking style of batting,” said Ben. Doug Hudson, cricket chairman of Newcastle Cricket Club, said: “They are both outstanding players and Ben has had a great season. “When he opened the batting against Eppleton he scored 527 runs, including a maiden century. “He was also the leading run scorer for the county under-17s, with 392 runs including a century. The award – the Frank Jermy trophy – comes from the Northumberland Cricket Board Officials Association. It’s not the first time Oli and Ben have shared the same honours. They also both won awards as young Northumberland Players of the Year – as did their brother Dan, 14. 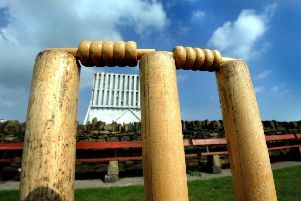 In a great season, Newcastle Cricket Club’s First team has won third place in the North East Premier League, and its other three senior teams have been competing for top honours in their leagues.